In Jottacloud for Android, the Photos tab a is list of all photos on your account, plus all photos stored locally on your Android device. They are all visible and sorted by time. 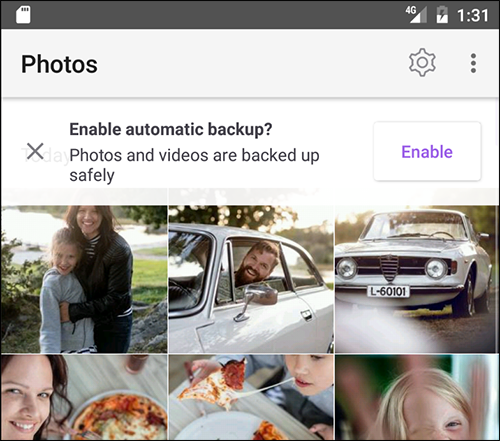 How do I enable automatic backup on Android?